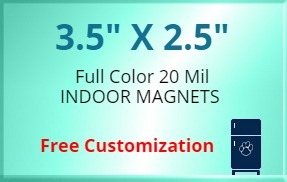 3.5x2.5 customized magnets 20 mil square corners offered in 20 mil thickness makes a unique promotional choice for indoor marketing. Advertisers who are wishing to influence families can always resort to it and gain benefits in the form of assured success and lowest cost price. 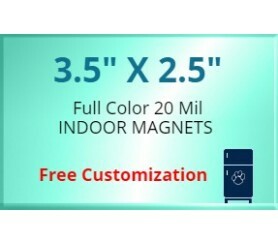 This magnet can justify any kind of indoor promotional requirements and advertisers can always encourage their customers to adorn it over visible spaces in home.